we invite you to visit Brest with a private English-speaking guide. During your tour will visit the most interesting and attractive places of the city. During your sightseeing tour of Brest you will know the most interesting facts of its history, you will see the most important monuments and tourist attractions. - Much impression you will receive while walking along the Soviet strees, where you can feel the ancient history of the city. Here you can see buildings from 1915 and the pharmacy building, which has not changed its original appearance sience 1925, the cinema building "Belarus", the uniqueness of the building lies in the fact that from 1862 to 1944 there was a synagogue here. And finally Lanterns street. 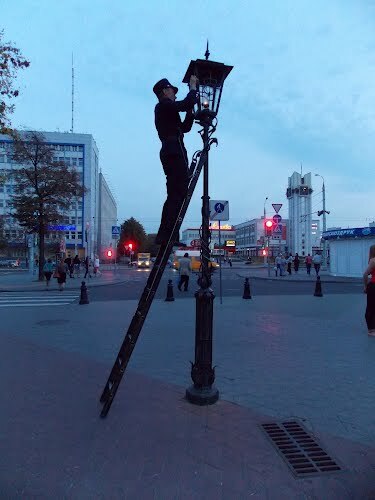 Every evening lamplighter turns on manually the light on this street before all the lights of the city of Brest are turned on. In your request, you can can visit the railway museum, where you can find unique exhibits of the last century. If you have any questions dont hesitate to write us! What influences on your decision of choosing a travel agency?